You know it is summer when apart from the scorching heat of the sun, you’ll see kids running in and out of the house. And in as much as you’d want to spend time with them, Mommies like us would surely want to make sure that our child’s summer vacation must be a productive one. It’s our job to make sure that our children would experience the perfect balance between fun + a new learning experience/something productive activity to occupy their time. Personally, I’d rather see my kid busy with whatever activity he’s interested with than have him bumming out at home lazily sitting on a couch watching television or playing with my pc. So every year, I try to do my own research and talk it out with Kyle about how we’re both going to spend his summer. Of course, there has to be something new or something different each time. For Kyle, he’s had hip-hop class and has learned how to back float; hopefully, he’ll be able to perfect his backstroke soon. Although we’ve always had art in Kyle’s summer activities in the past years, it is something that he enjoys the most so I try to incorporate art in his summer activities every year. And just last week, Kyle started doing what he does best—immerse himself in art. He started attending an art class from KidzArt Explore class. 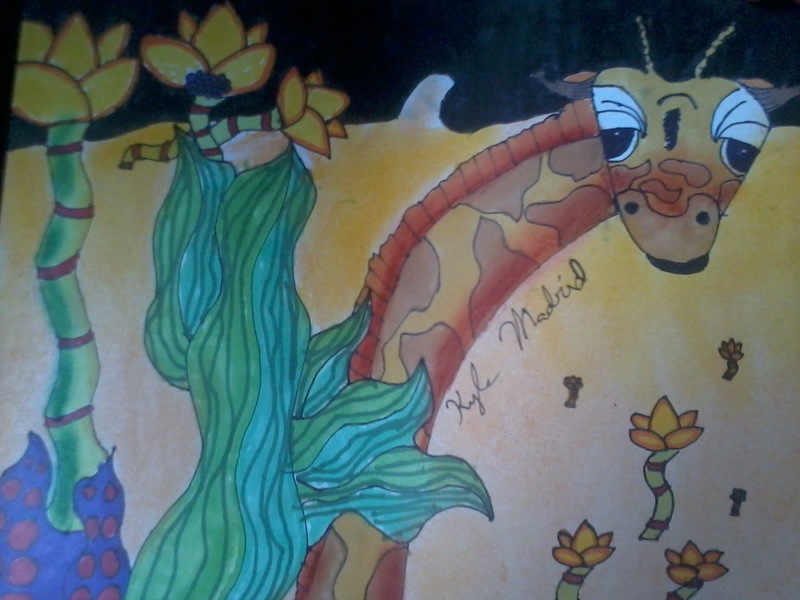 A franchise art program from the US, KidzArt had five regular drawing programs that cater to each child’s different abilities based on their ages. 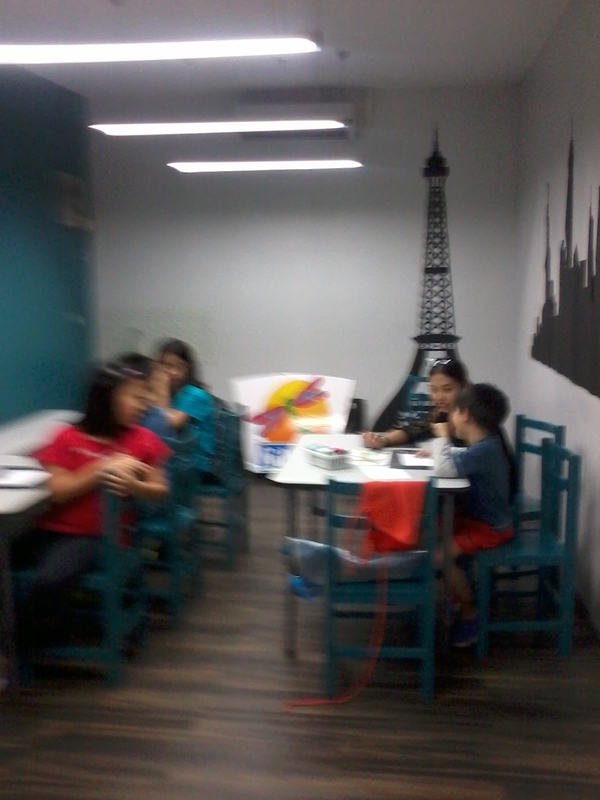 A typical classroom scenario for KidzArt students. Squiggles to Grins program targets the toddler ages from 2-3.5 years old—Kids are introduced to lines and shapes that make up the ‘language’ of art. Parents are encouraged to help their kids to indulge in a fun and nurturing environment as they explore the new language of washable paint and other non-toxic art materials to create recognizable forms with inspiring storytelling, poetry and music. 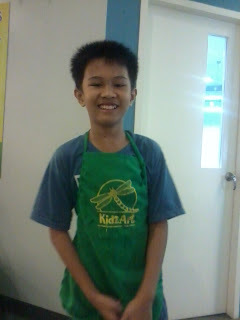 Kyle in a KidzArt apron during class. Discover—is a program made for 4 to 5 years old in mind. Kids would discover the discipline of slowing down and focusing. They will start to recognize how lines andshapes can fit together to create a complete whole as they express themselves through drawing by using different media. Connect—is a program for kids ages 5 to 6 years old. Kids connect to their work as they take their drawing skills to a personal level by expressing their thoughts and ideas more clearly. They get to experiment with colors and shapes using 2 or 3 dimensional media. 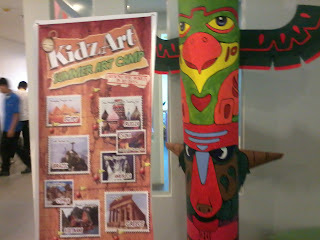 The Summer Camp of KidzArt involves introduction to world art. Imagine—are for kids grades 1 to 4. Kids ‘power-up’ their creativity, as they would start to imagine more through reading between the lines and drawing their own conclusions. Here they first develop their personal style and widen their exposure to more advanced art media. Explore—Made for kids grades 5-7. The realm of possibility is the captivating point in this class. Kids will embark on avirtual journey to explore the many elements of visual arts as they get exposed to a variety of artistic styles, cultural interpretations and mediums. This is the class my dear Kyle’s taking to keep his summer vacation productive. KidzArt also had three other special programs such as Fashion and Anime design class for 7 years old and up where basic figure drawing, garment sketching and color/tone matching are taught, Fun with Clay (3-10 y.o.) where kids get their hands on the concepts of 3D modeling, sculptural approaches, material explorations using polymer clay, basic Painting (4 y.o. -up)- painting techniques, painting styles and water-based paints are used. 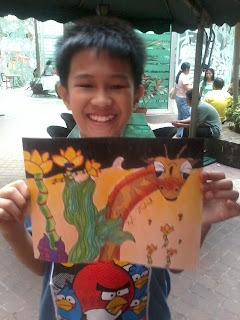 Oh, and for the summer, KidzArt also had a Summer Art Camp with the theme: Around the World in 10 Days. The first batch has already started, but for the second batch, it will be held staring May 6 until May 17. This is made for kids 4 to 12 years old. Your kids’ creativity will be soaring high as they experience great fun in exploring the world through each featured country’s art. Kyle proudly shows off his first day artwork. Mommies need not worry over bulky or heavy art materials, for in whatever art class your kids will be taking at KidzArt, all the rates includes the art materials. So basically, your kid just need to show up for his or her KidzArt classes and everything’s well provided by the art teachers. 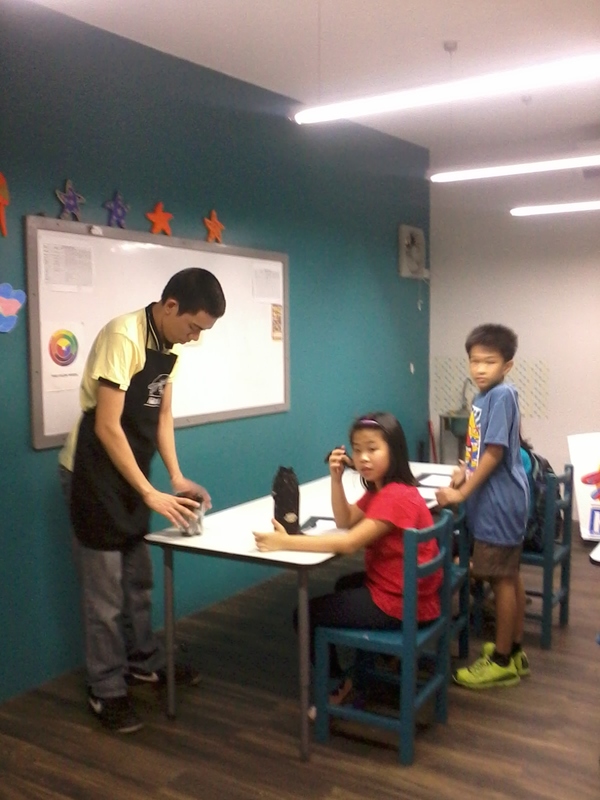 They also have an apron while the young artists are busy with their masterpiece/creations. Oh, and each class is only up to a maximum of six kids per class. 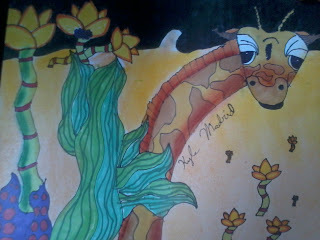 Kyle's drawing which he wanted to be framed at home. Kyle truly enjoyed his first day at KidzArt that he looks forward to his next class. It may seem like a daunting task for someone like Kyle to focus and keep still on his chair while drawing, he’s able to focused and finish the artwork. 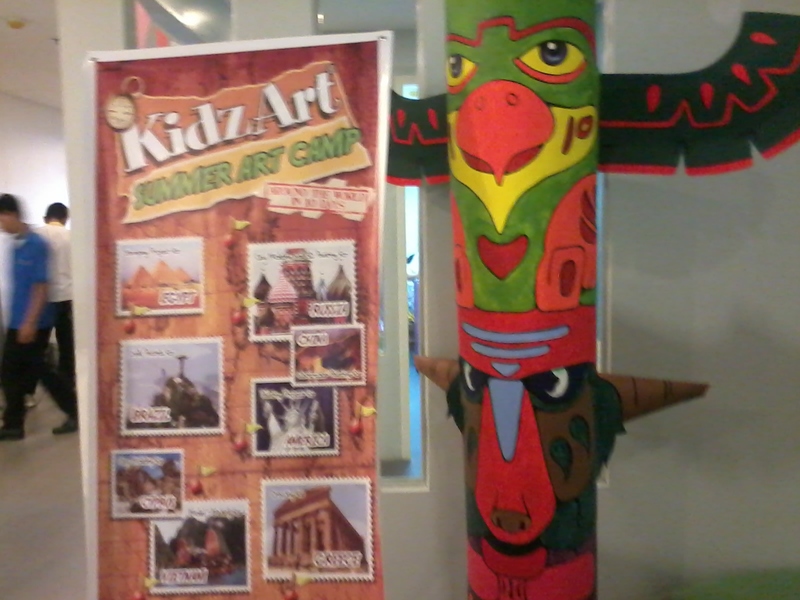 KidzArt currently has four branches: Shaw Boulevard, Valle Verde 5 (Pasig), Quezon City and Bonifacio Global City (Makati). Just as they claim, “If you can dream, you can draw!” They are not competitive drawing, but they believe that anyone can draw, be it a Picasso-in-the-making or someone who never thought that he or she could draw.